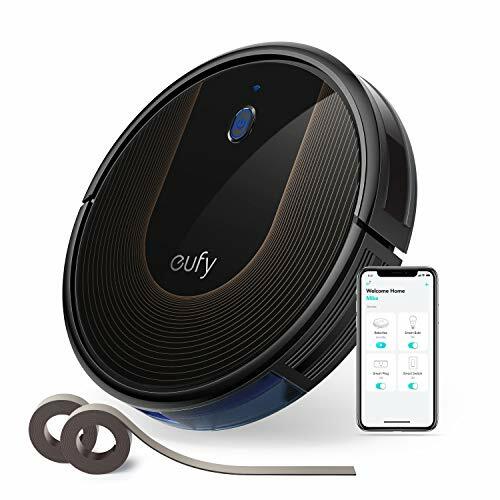 Wi-Fi Convenience: The EufyHome app, and Amazon Alexa and the Google Assistant voice control-services let you accomplish your vacuuming needs with zero effort from you. Worry-Free Cleaning: Set Boundary Strips and the slim 2.85" body-upgraded to 1500Pa* suction-only cleans the areas you want. 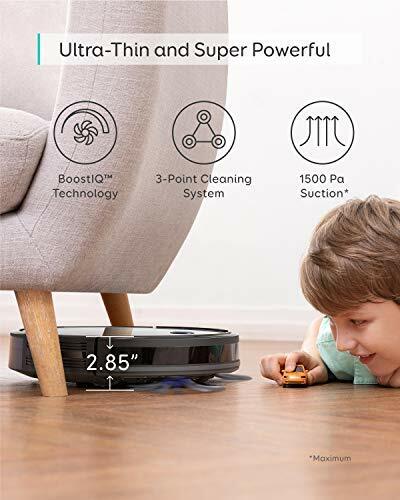 BoostIQ™ Technology: Automatically increases suction power within 1.5 seconds when extra vacuuming strength is needed-so you get the best clean. 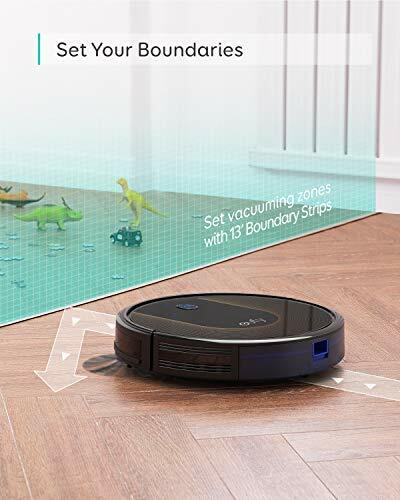 What You Get: RoboVac 30C, 13.2 ft Boundary Strips, remote control (2 AAA batteries included), charging base, AC power adapter, cleaning tool, extra set of high-performance filters, 4 side brushes, 5 cable ties, welcome guide, and our worry-free 12-month warranty. 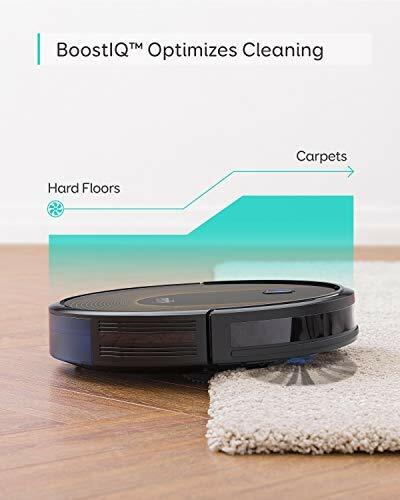 RoboVac may be super-slim, but it's packed with a 3-point cleaning system, BoostIQ technology, and up to 1500Pa of suction power to ensure your floors and carpets are clear of all dirt, dust, and crumbs. And with Wi-Fi built-in, you can accomplish all your cleaning needs from your smartphone. RoboVac takes on dust-busting around your home so you don't have to. Multiple cleaning modes and auto-clean scheduling ensure an effortless, thorough clean while you relax. 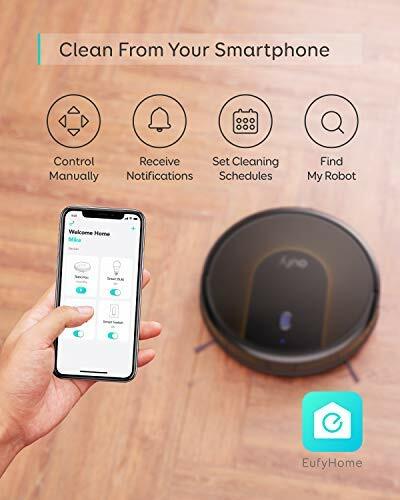 Refined from the inside and out to provide quiet vacuuming with zero hassle, RoboVac cleans with the equivalent sound of an operating microwave. 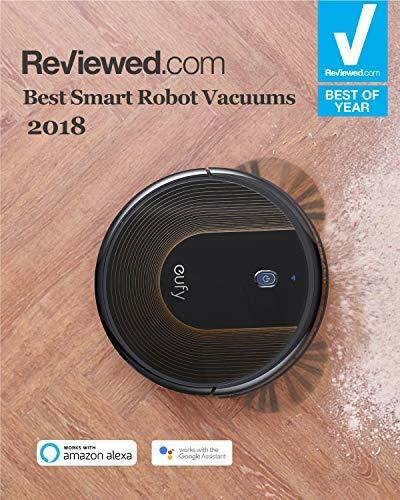 A larger 0.6L dustbin allows RoboVac to pick up more dirt and dust to take full advantage of 100 minutes** of continuous cleaning, eliminating the need to empty it halfway through cleaning. - Use on low- to medium-pile carpets, tile, laminate, and hardwood floors. Not suitable for high-pile carpet. - Move cables out of the way to avoid entanglement. 5 cable ties are provided in the package to help you better organize wires and power cords. **Standard suction mode (hardwood floors) provides approx. 100 minutes of cleaning. BoostIQ mode (carpeting) provides approximately 60 minutes of cleaning. Max suction mode on medium-pile carpets provides approx. 40 minutes of cleaning. RoboVac only connects to the 2.4GHz frequency. Make sure you are using a 2.4GHz router or a dual-band router that is configured to support a 2.4GHz frequency band.